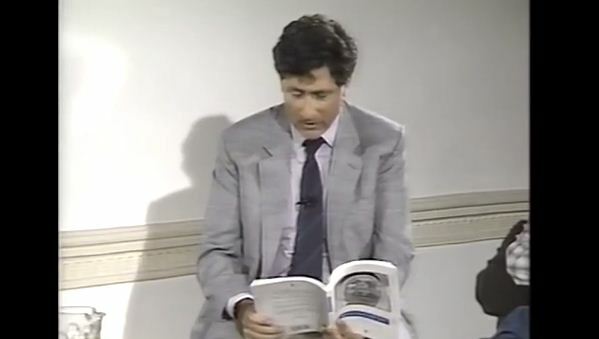 Edward Said and Salman Rushdie ta(l)king the box away. 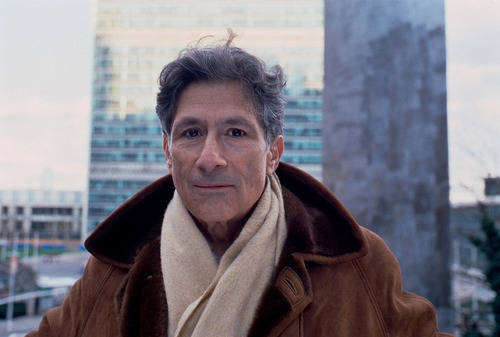 Edward Said was one of the greatest minds of the 20th century. A literary theorist, public intellectual who was a founding figure of thecritical-theory field of Post-colonialism, strong advocate of political and human rights of the Palestinian people. His capital work, Orientalism, preseneted the Western study of Eastern cultures and, in general, the framework of how The West perceives and represents The East. Orientalism proved especially influential upon the field of Middle Eastern studies, wherein it transformed the academic discourse of the field’s practitioners, of how they examine, describe, and define the cultures of the Middle East. It’s hard to label people as heroes in today’s world, but I would say Said was one. Living in exile, he chose not to look the other way and forget the injustice and struggle in his homeland, but to fight, to raise awareness, to dedicate his life, his time, dedicate it to better understanding, to fairness, even if it meant (and it often did) repeating things all the time, hitting the wall all over again. Even in his last years and months, sick and exhausted (over a decade fighting with leukemia), he was writing, giving three hour interviews (such as his last one), and finishing documentaries about Palestine. Now, that’s dedication. I’ve read so much of his work, watched the interviews, and it’s hard to choose some of the greatest moments (there are so many great ones). 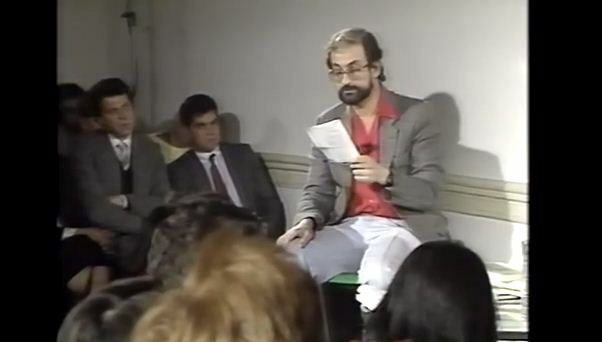 However, I recentley stumbled upon an interview he did with Salman Rushdie in the 80s. First of all – they seem so young. Nevertheless, they are amazing and it’s such a good interview. They are talking about Said’s book After the last sky, and it all starts with Rushdie reading Darwish’s poem The Earth is closing on us (which Said used in the title of his book). Said talks about the Palestinian experience, saying that unlike other colonial experiences – we weren’t exploited, we were excluded. And that is the essence of the Palestinian struggle. There’s also a fun story about Israeli broadcasters and Palestinian guerrilla. Many interrogations took place on the radio, it was a pshychological warfare in a way. So, there was this men – a Palestinian, and he knew he had to play to the role of terrorist. The interrogation with him was used as a first class example of terrorism by Israelis, and Palestinians and Arabs recorded it and it was played over on in the evening to entertain people in Beirut . “When did you get involved in a terrorist organziation? When I first became aware of terroism.. What was your mission? My mission was terrorism. Did you practice terrorism for money or cause? It’s quite funny. Enjoy the whole interview here. And read Said’s work. We need it today, maybe more than ever. → Meet five inspiring Arab fashion designers. ← Happy Nowruz (Persian New Year)!